Application: Christmas green PVC garland, warm color light decorative door hanging, shop hotel window decoration. 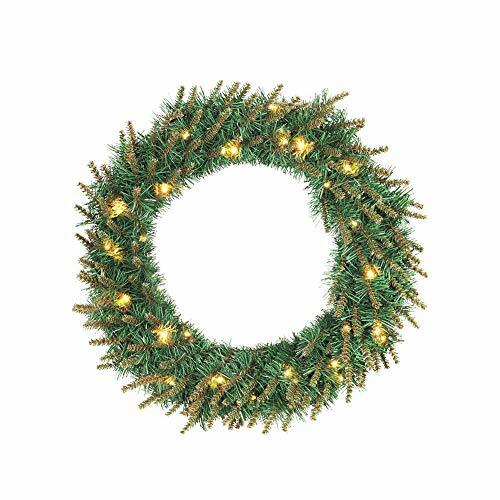 Beautiful Christmas Autumn Wreath : LED Light up Christmas Wreath (Not Include Batteries). For Indoors and Outdoors Use. Size: about 30cm/40cm/50cm/60cm/80cm=11.81in/15.75in/19.69in/23.62in/31.50in , This Wreath is very perfect for decor your home , door , garden , room , Nice color and light at night . Good quality and Good Price: Attractive design and superior in material and excellent in workmanship,grace and pretty. in workmanship,grace and pretty. Great Gift For Family , Friends : This beautiful Christmas wreath is the perfect addition to your home this festive period. Package Include : 1 x Artificial wreath ,Very beautiful Christmas decoration Ornament ,It's Christmas essential goods . If you have any questions about this product by LianLe, contact us by completing and submitting the form below. If you are looking for a specif part number, please include it with your message.